 Dr. Menton has post-graduate training, which includes, Orthodontics, Cosmetic Dentistry, CAD/CAM dentistry and Invisalign. He and his wife, Janet, have three children and in his spare time Dr. Menton enjoys golf and travel. Dr. Carpenter has post graduate training, which includes cosmetic smile improvement. He and his wife Karen have two children and in his spare time Dr. Carpenter enjoys golf, movies, and reading. Dr. Enlow has post graduate training which includes, periodontal (gum) surgery, cosmetic dentistry and Invisalign. She and her husband Darrin have two children and in her spare time Dr. Enlow enjoys running and organic gardening. Dr.Cook has post graduate training in esthetic dentistry, Invisalign, and Perio Surgery. She and her husband Adam enjoy being outdoors, especially biking together. Dr. Cook enjoys dancing, reading, and traveling anywhere and everywhere. Janet, our office manager, works at keeping the office running smoothly and is always available to help with any concerns our patients may have. ACCOUNTS MANAGER Mary, our patient accounts manager is very knowlegable in handling Insurance and working with patients financial needs. Our nine highly qualified and progressive hygienists, Teresa, Lisa, Merrie, Jackie,Maureen,Jenny,Kaitlyn, Suzi, and Natalie are truly committed to educating our patients about oral hygiene. Our hygienists also frequently attend continuing education courses. Our dentists are assisted by very knowledgeable assistants. Akiya & Erin assist Dr. Menton, Tammy assists Dr. Enlow. Kim assists Dr. Carpenter and Jackie assists Dr. Cook . They have a wonderful way of comforting our patients before, during, and after treatment. Upon entering our office our patients are greeted by the friendly front desk staff of Kristen,Lauren, April, and Bree. They are always willing to answer any questions regarding scheduling appointments, insurance, billing, etc., and always with a smile. We are very proud of our staff. We are sure you will enjoy getting to know everyone here!